Australian export What So Not has announced the impending arrival of his debut album ‘Not All The Beautiful Things’. Set the release on Counter Records on March 9, What So Not has enlisted the help of several attention-grabbing collaborators for his 12-track LP. Among his collaborators include OWSLA boss Skrillex, fellow Australian standouts Slumberjack, rock act Toto, San Holo and more. 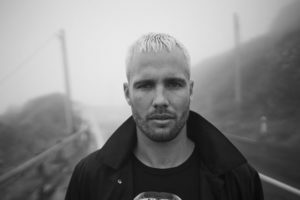 Despite already having established his name as one of the leading electronic acts out of Australia with remixes and hits like ‘High You Are’, What So Not has yet to have released a full-length debut album.